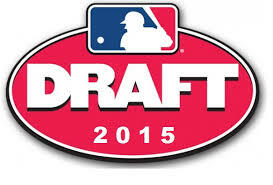 The annual MLB player draft is next week. As always there are many Canadians to keep an eye. This year an Albertan, Mike Soroka from Calgary, is one of the top Canadian prospects and may end up being the first Canadian taken overall. The 17 year old Soroka is a member of the Canadian Junior Team, who has committed to Cal-Berkley and has garnered accolades everywhere he's played. named to the Perfect Game 2nd team All American tam. considered "best Canadian pitching prospect in recent memory"
Soroka isn't the only Albertan on scouts' radars. Brendan Hendriks who was a late round selection of the Phillies back in 2011, is also on the list of top Canadian prospects. Hendriks, a third baseman from Cochrane, who played High School ball at the highly acclaimed Vauxhall Baseball Academy has been playing at University of San Francisco, where he led this team in home runs. Also hoping to get a phone call next week is St. Albert's Jackson Wark. Like Soroka, Wark is also a RHP on the Canadian JNT. He was named to Perfect Game's Honorable Mention All American Team and has committed to St. Louis University. Last year, only one Albertan was drafted, and that was Jordan Procyshen who was selected by the Red Sox and is enjoying success in their organization, currently the starting catcher for Greenville. It would be great if Boston selected more Canadian players this year. Regardless of where they end up, am wishing all of these players success in their baseball future.